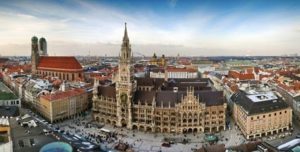 The EARTO Annual Conference 2017 was kindly hosted by EARTO member Fraunhofer on 29-30 March 2017 in Munich, Germany. This year we welcomed more than 250 participants for successful discussions. The conference focussed on “Shaping Europe’s Future: RTOs at the Forefront of Innovation Supporting Industry”. It featured high-level speakers from the European Commission and other key Institutions, as well as members of EARTO and industry representatives.